Meet best friends Pixie, Ellie, Katie and Jane. Fed up with always struggling to lose weight, they start a social club where size doesn't matter. Soon it's the most popular place to be - having fun instead of counting carbs. And the girls suddenly find their lives changing in ways they never imagined. But outside the club, things aren't as rosy, as they struggle with the ups and downs of everyday life. 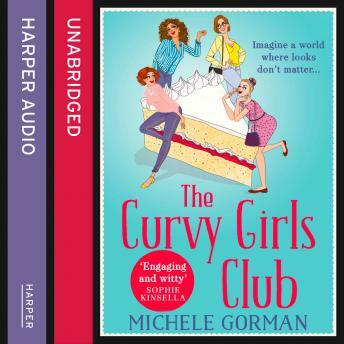 Loved The Curvy Girls Club? Then indulge yourself in the brand-new feel-good sequel, The Curvy Girls Baby Club - can the friends keep their sense of humour, not to mention their self-esteem, in the face of haemorrhoids and elasticated waistbands?